The most important part of your show. Make sure you get the best on board. When you are looking for a fully-featured, stable and intuitive lighting control system, you need look no further than the Chamsys Magic Q range of lighting control desks. With 64 Universes of lighting control capability through ArtNet, ACN or Pathport. 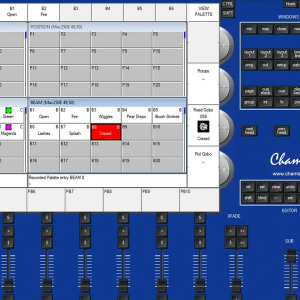 The Magic Q software included with all Chamsys lighting control desks is quickly becoming an industry standard across the board for television, live music and theatre applications. Easily lending its hand to a multitude of applications, the Magic Q control desks are incredibly versatile. 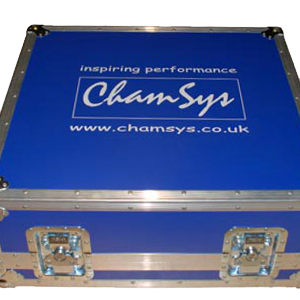 By utilising our network of esteemed suppliers, we have access to one of the biggest stocks of Chamsys consoles on the south coast. Whether you are looking to hire a PRO 2014 MQ100, or an MQ80 compact console, as above – we can help. All of our desks arrive to you fully prepped and ready to go. We fully check all of our consoles prior to dispatch. In the unlikely event that a console that we supplied you were to fail, we will get a replacement to you on site as soon as possible. When you need to hire a lighting desk in a hurry, you need to find someone you can rely on. Stage Bright offer a round-the-clock service, because we know that your show must go on. ChamSys Magic Q Hire. Where you need it. When you need it. Quality, Reliable Chamsys Magic Q hire. Our pricing is incredibly competitive for our desk hire service, and we can travel nationwide with it. Based in Southampton, we can provide this equipment to venues and individuals in Winchester, Romsey, Bournemouth, Southampton and even further afield. 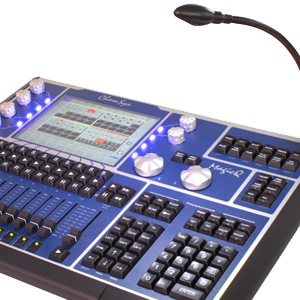 We are able to supply all current and past models of Chamsys Magic Q Consoles, including Chamsys MQ200 PRO 2010, MQ100 Pro 2014, MQ80, MQ60 and Stadium Consoles. All of our hires have the option of being delivered. Get in touch today to receive your free quote on this not-to-be overlooked service, and find out how you can incorporate it into your next event. When you’re looking to hire a Chamsys MQ200, for your next event in Southampton, Winchester, Portsmouth or even further afield, we can supply the equipment you need. Fully prepped for every hire, you can collect the Chamsys desk from our partnered warehouse in Portsmouth, or we can deliver to you or your venue nationwide for a nominal fee. For further information on the Chamsys MQ200’s features, please read more below. The Chamsys range of control desks is quickly becoming synonymous with quality and versatility within the entertainment industry. With over thirty-two thousand attribute channels at your disposal, you your possibilities are virtually unlimited. 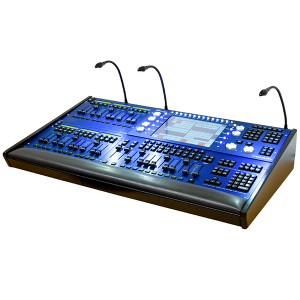 When you are looking to hire a Chamsys Magic Q Lighting control desk in Southampton, Portsmouth or Bournemouth, you need a company you can rely on. With over a decade of experience working in the event hire industry, Stage Bright under stands the importance of well-prepped equipment. Each time you hire our Chamsys Magic Q MQ200, you can be sure that it has been properly prepped, and includes everything that you will require to have a successful show.